In the UK, college and 6th form students have just received their A Level results, what is a joyful time for some is an extremely stressful time for others. For those students that didn't make the grades required to get into their frist choice University, the clearing system awaits. The Telegraph has released the official Clearing app for UK students to the android market. The app lists all the live clearing vacancies, kept up to date. This is pretty much essential to anyone in the clearing system who has an android phone. 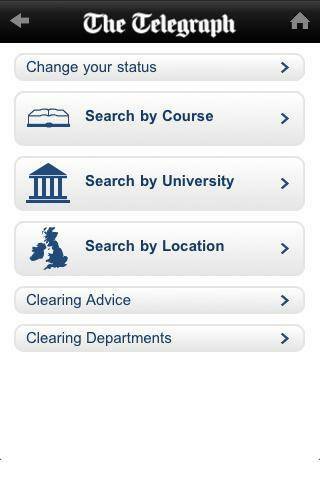 Find suitable vacancies on higher education courses through our 2011 Clearing app. The vacancies listed through this app are live from UCAS. The Telegraph is UCAS's official media partner for Clearing.